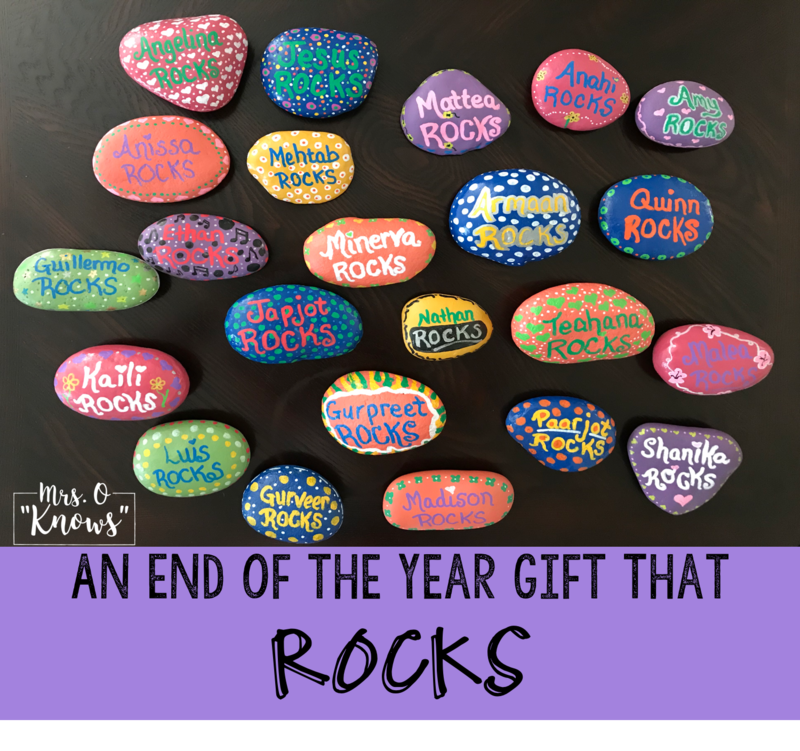 An End of the Year Gift That Rocks! After 13 years of teaching, it's pretty difficult to come up with fresh ideas for an end of the year gift. 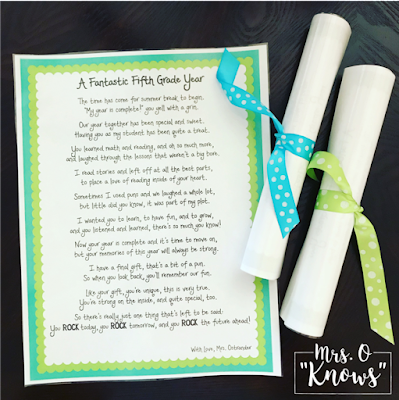 I've done some really cute gifts that are certainly worth repeating, but I really love it when I can find a way to connect my gift to that specific year. I had a wonderful group of students this year. I feel like I say that every year, but I really loved every moment of teaching these kiddos. They were awesome in every way and they worked so hard to come so far. Anyway, one of the things that makes for a happy classroom is the sound of laughter and the ability to be silly without getting out of hand (which can be such a delicate balance, but can successfully happen). Well, one of the reasons I love teaching fifth grade is because my students understand my jokes and sarcasm. Truth be told, I LOVE cheesy jokes, but I especially love puns, and there's a lot of cheesy jokes and puns mixed in with my instruction. My husband always tells me that I'm the funniest person I know and it's true - no one makes me laugh harder than me! For whatever reason, this year was the year of the puns - I had a new one popping into my head at least once a day and my students kind of became dependent on at least a daily pun. So...enter the end of the year gift. I've wanted to try rock painting for so long. 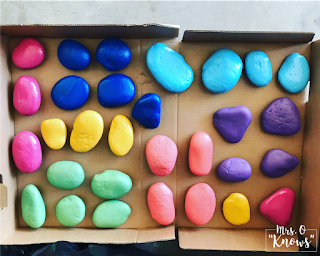 I've seen the The Kindness Rocks Project and always wanted to participate, but never got around to it. So, without a proper plan, I decided to go to my local rock yard and get some medium stones. 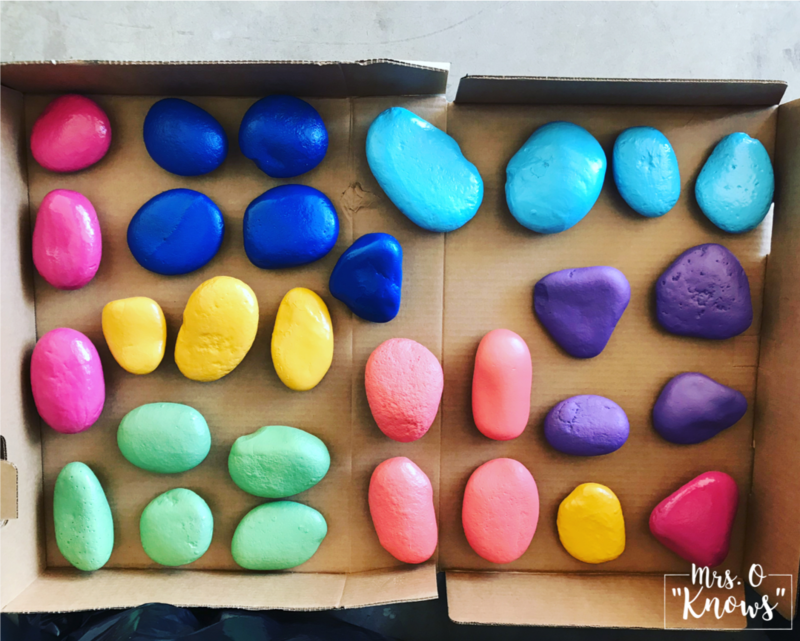 When I told them that I was using them to make a gift for my students, they let me take 30 rocks, no charge! So with rocks in my possession, I came home to look for some ideas via Google search. I'm not very artistic, so I needed something that would work for my heavy handed writing. 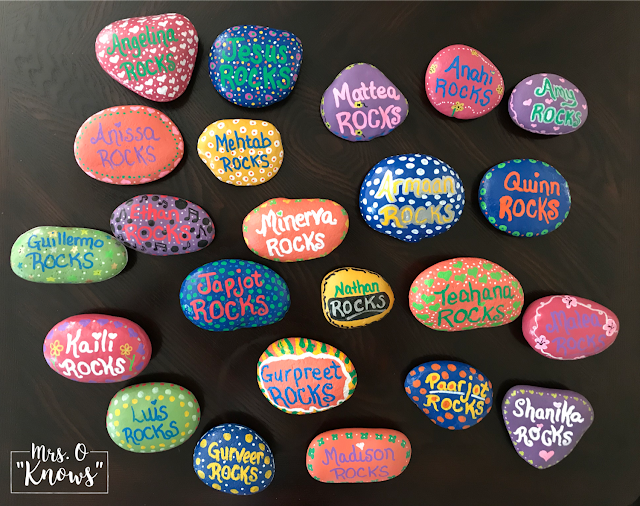 I initially thought about doing words of kindness/praise, but then something so simple and punny came my way...why not just put their name with the word ROCKS underneath? It's personalized and it's "punny", which truly made this the perfect end of the year gift for my class! Once I had a plan, I washed the rocks really well and then went to Michael's to load up on some different colors of spray paint. I bought matte and gloss, but in hindsight, I would've gone with just matte since I eventually sealed them with matte spray anyway. The lighter colors needed a couple of sprays, but for the most part, spray painting the rocks was a piece of cake! Next, I purchased some acrylic paint markers. I bought one set from Michael's and the other set from Amazon (link for the Amazon - not affiliate: Acrylic Paint Markers). I sat outside on my deck for hours working on just writing __________ (name) ROCKS. I am not a fan of my own handwriting, so there were definitely some do-overs. I let the words dry overnight. The time has come for summer break to begin. “My year is complete!” you yell with a grin. Our year together has been special and sweet. Having you as my student has been quite a treat. and laughed through the lessons that weren’t a big bore. to place a love of reading inside of your heart. but little did you know, it was part of my plot. and you listened and learned, there’s so much you know! but your memories of this year will always be strong. I have a final gift, that’s a bit of a pun. So when you look back, you’ll remember our fun. Like your gift, you’re unique, this is very true. You’re strong on the inside, and quite special, too. You ROCK today, you ROCK tomorrow, and you ROCK the future ahead! You can click on the image below to download a copy. Feel free to save it for future use or use it to inspire your own end of the year poem. I've included a version that just says "A Fantastic Year" as the title so that it can be used for multiple grade levels. 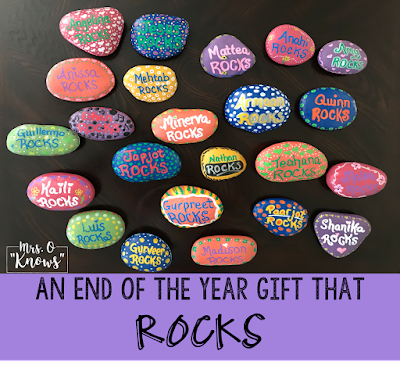 When I presented these gifts to my students, I explained that I worked hard on each individual rock and that I thought about each of them and our memories together as I designed each one. So, while their initial thought might be "I got a rock," (Peanuts reference from It's The Great Pumpkin, Charlie Brown) the rock was actually a representation of them and that is what made it so special. They absolutely loved them! I loved seeing their smiles as they held their rocks and felt special, knowing I'd created an original rock just for them. I hope that each time they look at their rock, they remember the special year we shared.